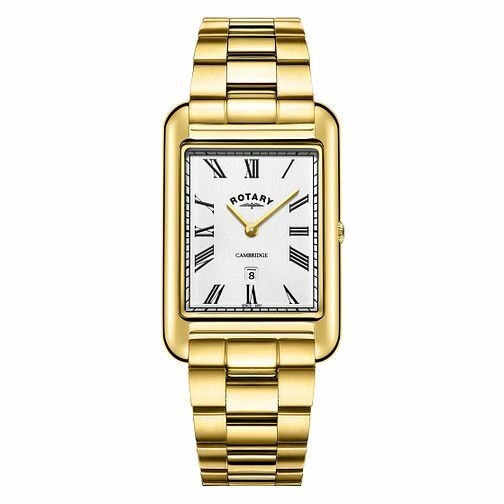 This classic Cambridge watch by Rotary presents a silver rectangular dial, with smart black roman numeral hour markings and a sleek date display at the 6-o-clock position. A yellow gold plated case co-ordinates with the two hands. This smart and timeless watch is completed with a yellow gold plated bracelet, versatile for daytime and evening wear.